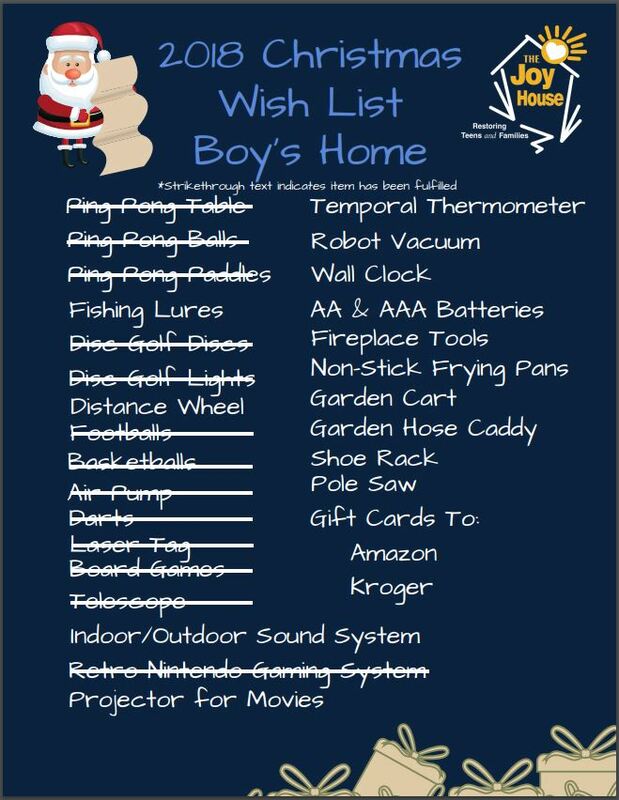 Each year individuals come forward at the holidays to see if there are any “out of the ordinary” needs for our boy’s and girl’s homes. 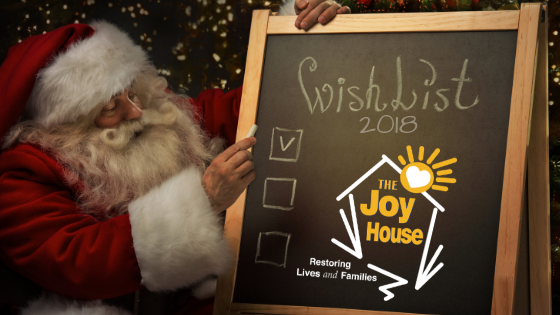 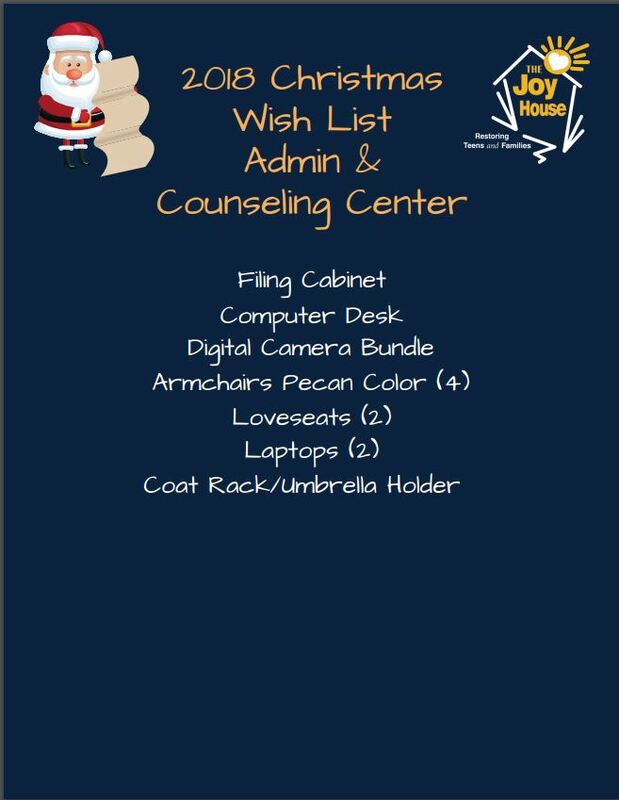 Each home has comprised a special “2018 Christmas Wish List.” Please contact Ali Metcalf, our Communications Director, at alison@thejoyhouse.org or by calling 706.253.7569 if you would like to fulfill one of these wishes for our homes or if you had another gift in mind that we may have not thought of. 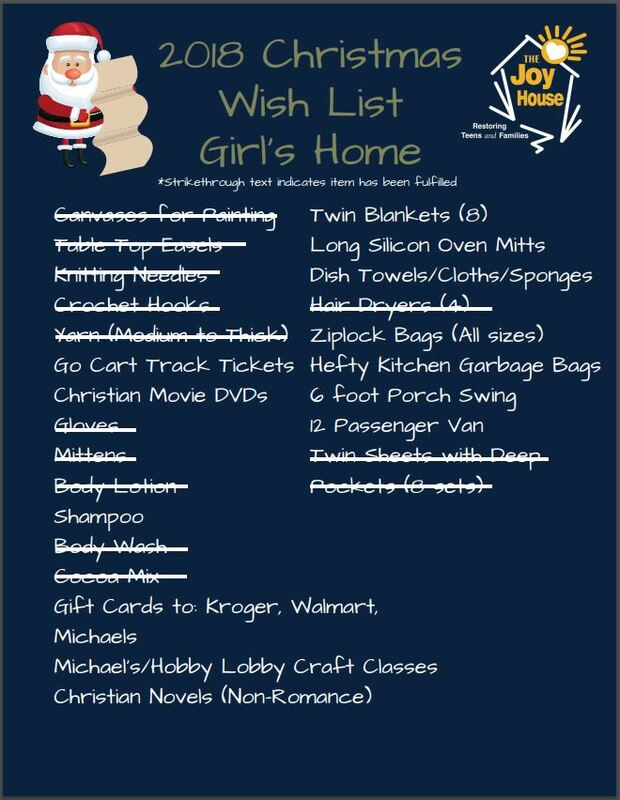 Thank you for your support in making the holidays special for our teens.